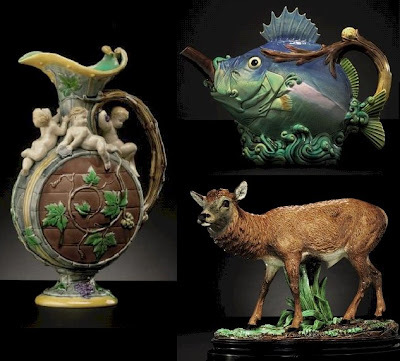 Majolica International Society: Christie's has some fabulous majolica items up for auction. Christie's has some fabulous majolica items up for auction. Sale # 2159 at Rockerfeller Center, New York. More information will be posted to their web as we get closer to the auction date.